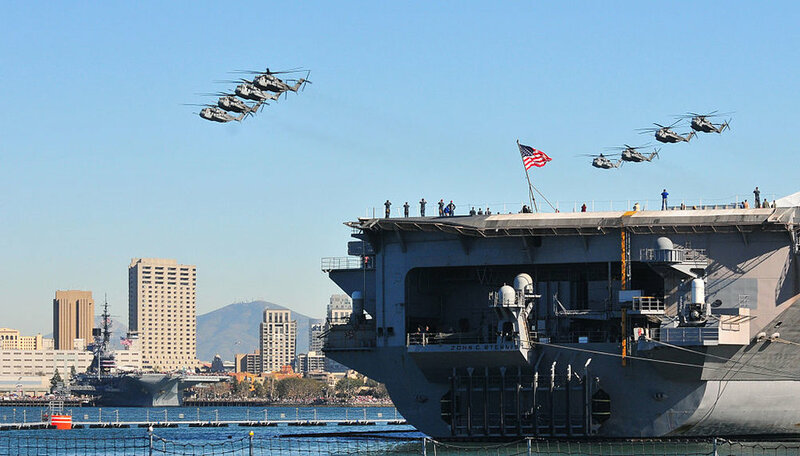 Best Sightseeing in San Diego: part 6 Fleet Week! San Diego is one of the major military hubs of our country and we always see plenty of naval, SEAL, border patrol, and Coast Guard activity on our San Diego harbor tours. Fleet Week is rapidly approaching and for the first time since 2008, there will be an Air and Sea Parade! Book our afternoon noon tour and see the whole thing close up, from stem to stern, from sea level to sky high.